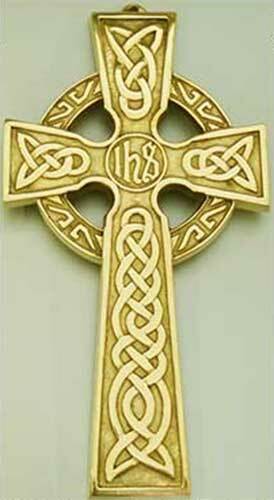 This Celtic cross features IHS which is a monogram symbol for Jesus Christ in form of acronym. IHS is from the Greek language and it is an abbreviation of the name IHΣΟΥΣ (Jesus). This large brass Celtic wall cross features a knot-work design along with IHS in the center and measures 5 1/2“ wide x 10 1/2” tall. 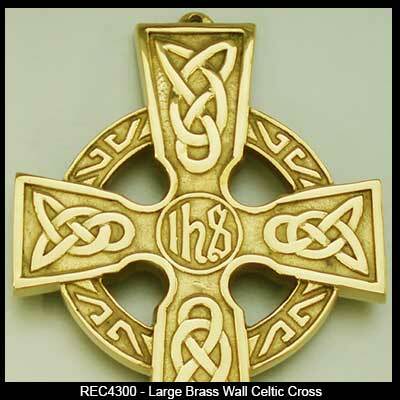 The Celtic cross weighs a sturdy 22 ounces and made in the United States. 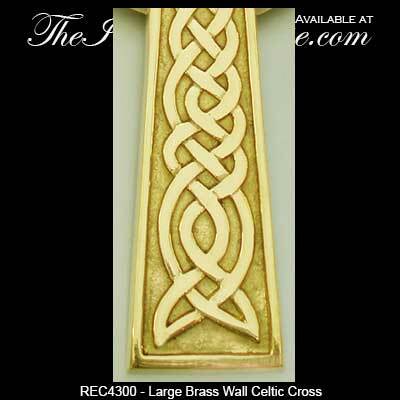 The brass wall cross is ready to hang and is gift boxed with Celtic knot and Celtic cross history cards, complements of The Irish Gift House.